“Today Mayor Jenny A. Durkan, City Attorney Pete Holmes, Councilmember M. Lorena González, and Chief Carmen Best filed a motion at Seattle Municipal Court asking the Court to consider quashing over 200 outstanding warrants for people charged or convicted of low-level non-violent misdemeanor offenses that occurred 5 to 22 years ago. The City is taking these steps to help address inequities in Seattle’s criminal justice system and to protect public safety (not according to this report) by ensuring that law enforcement can focus on more serious, violent offenses. 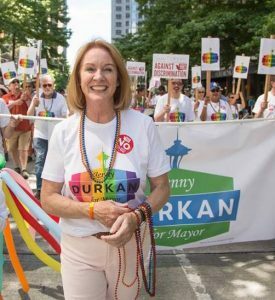 “We’re acting to make Seattle a more just city, to recognize that our criminal justice system disproportionately impacts people of color, and to ensure that our officers can focus on the most violent offenders and protecting public safety,” said Mayor Durkan. In reality the city just – once again – selectively excuses illegal behavior while punishing law-abiding citizens. Liberal utopia of Seattle: Homeless & crime on the rise…let’s cut outreach and give raises to human services workers! In February 2017, the city of Seattle launched the “Navigation Team,” which is comprised of specially-trained outreach workers paired with Seattle Police Department (SPD) personnel, to connect unsheltered people to housing and critical resources. They work with homeless people to help them get access to urgent and acute treatment services. In May of this year, the city boasted of an increase in the number of homeless people they successfully moved into permanent housing or shelters. Yet prevention programs saw a decrease in exits to permanent housing. Keep in mind that, according to MyNorthwest.com, Seattle is planning to spend $71 million toward homelessness in 2018. That money will go toward 155 contracts across 39 agencies to provide services to people experiencing homelessness. So I wonder why the city is now planning to decrease the budget of their Navigation Team and increase the pay to contracted human services workers? 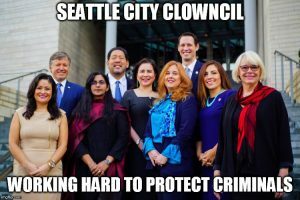 The Seattle Times reports that on Wednesday, the Seattle Clown Council voted to reduce the expansion of the Navigation Team and redirect the “savings” to a pay raise for homeless service workers. 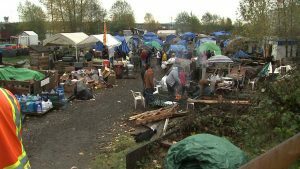 “The Seattle City Council moved Wednesday to reduce a proposed expansion of the city’s team responsible for overseeing removal of homeless encampments, redirecting the money to wage increases for homeless service workers. I guess someone (i.e., taxpayers) has to keep that Homeless Industrial Complex alive and well. It seems that nearly every week I do a post about the homeless in liberal-run Seattle. The crime committed by the homeless goes unchecked and citizens are scared, get attacked, and have their property burned down. 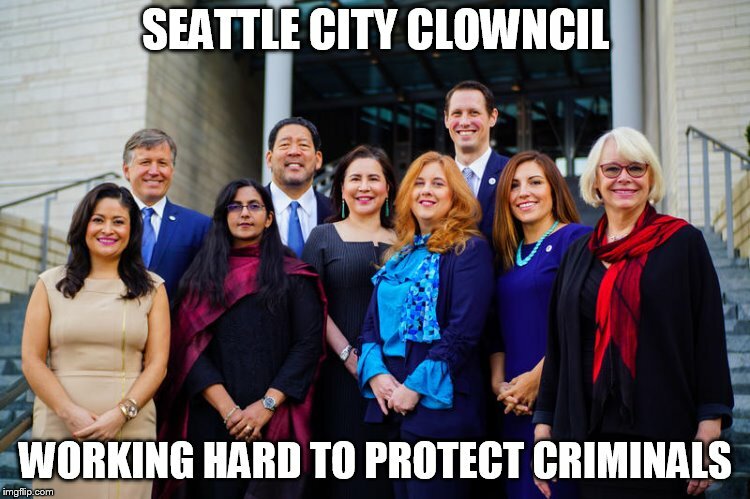 Seattle City Council does ABSOLUTELY NOTHING to stop these criminal activities. Seattle voters are FINALLY starting to wake up to the progressive nightmare that they have elected. But is it too late? From KIRO: Lake City businesses say a group of homeless people is turning planter boxes into beds, sidewalks into toilets and scaring away customers. Both a business and someone who is homeless said the city came and offered services to the group living there but most refused. Now the Seattle Department of Transportation has plans to remove the planters where a group of homeless people appear to live. Businesses are hoping it’ll help disperse crowds and reduce the human waste problem. “They can be agitated and aggressive,” said Majid Namini, a shopper. “It’s always kind of nerve-wracking,” said Sarah Denton, another shopper. Lake City shoppers are frustrated with the group of homeless people who seem to have taken up residence in planters near the Grocery Outlet and Lake City post office. “If you don’t give them what they want sometimes they get kind of angry and sometimes they will just scream at you,” said Paul Heistand, another shopper. The Lake City Grocery Outlet owner, Mike Sandberg, said it’s a problem he’s been dealing with for months, and he’s losing customers. “I’ve had numbers of customers come up to me and say, ‘Love to shop at your store but I won’t come back because I don’t feel safe, I can’t bring my children,’” Sandberg said. He says an even bigger problem is the human waste. 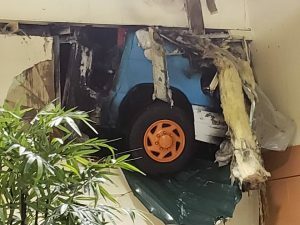 “The residents here were pooping on the sidewalk, behind Papa Murphy’s and the stairwells back there and creating a health hazard,” Sandberg said.